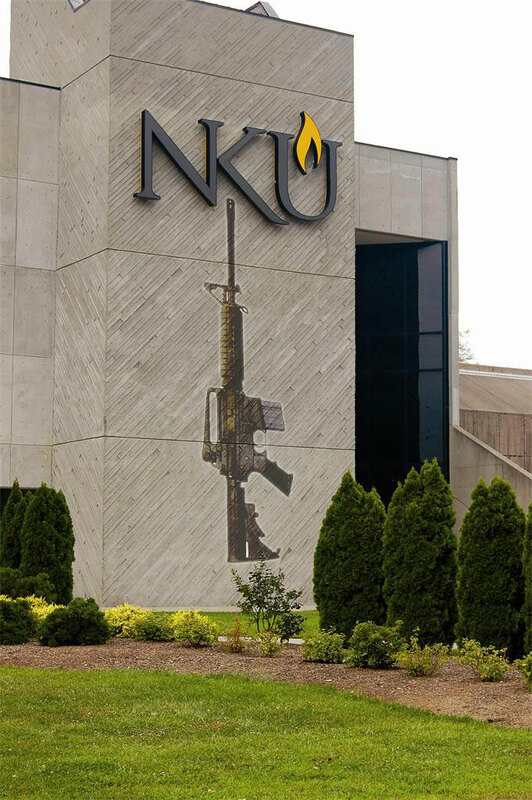 FRANKFORT, Kentucky –Northern Kentucky University has been awarded $10,660 from the state Law Enforcement Protection Program (LEPP) to purchase patrol rifles, Gov. Steve Beshear announced Thursday. Also, awesome use of “Patrol Rifles”…. It’s refreshing to not see them demonized as “Assault rifle” killing machines. I guess it has always been this way though; In the hands of police they are “tools”, but in the hands of citizens the same view largely isn’t held by the general public. Under the LEPP, administered by the Kentucky Office of Homeland Security (KOHS), appropriate agencies can seek financial help for certain defensive items essential in the course of their duties. 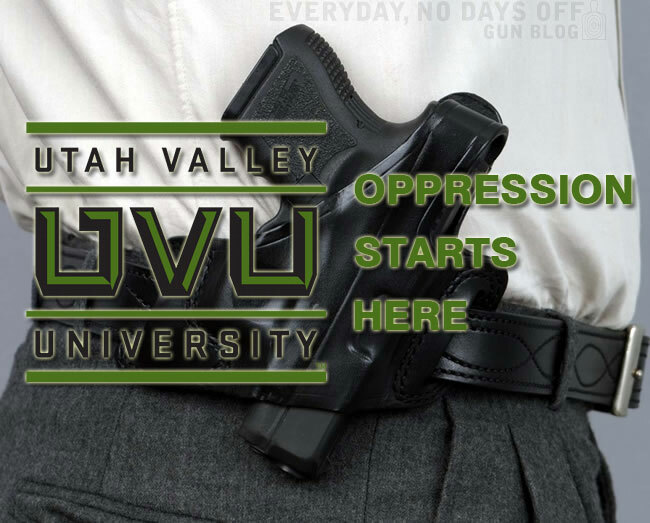 “These funds will help ensure that our law enforcement will not be out-gunned and increase security on campus,” state Sen. Katie Kratz Stine, of Southgate, said. Damn, I’ve only been out of University a couple of years now, but it must be getting pretty rough. 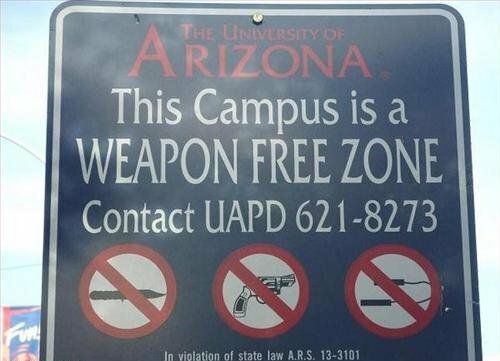 All jokes aside, if this keeps the students safe from psychos then I’m all for it. I still think allowing students to carry on campus would be a zero cost better alternative though. $10660 isn’t going to buy that many patrol rifles, especially since they will all likely be fitted with some fairly pricey optics. I say this because I can’t see open sights being a good choice for a possible shootout around hoards of innocent students running in every direction. In conjunction with the Kentucky State Police (KSP), KOHS derives income from sales of confiscated weapons. Oh that’s nice! *sarcasm* :roll: I thought confiscated weapons were either destroyed or else given back to the original owner (if they were found to be stolen). Or does this policy vary by state and department? My first thought is that confiscating weapons to fund department purchases doesn’t seem very ethical. Sign People: What do you want on it? SEATTLE – A group of University Of Washington students are being called vigilantes after they armed themselves with handguns and tried to set up patrols on University Avenue and other areas around campus where students have been attacked over the past year. I hope this works out for them, but without any training at all, walking around looking for trouble just spells disaster in my mind. I can just picture someone trying to mug one of them and the entire street gets lit up because one of those hot shots in the video that’s all amped up with a hunger for revenge decides to pull out his concealed weapon and proceeds to dump the mag, bullets flying in every direction.